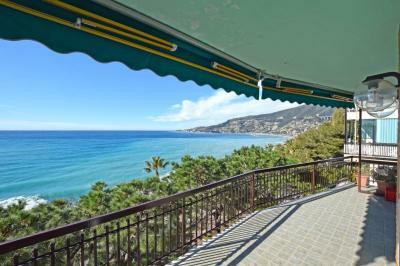 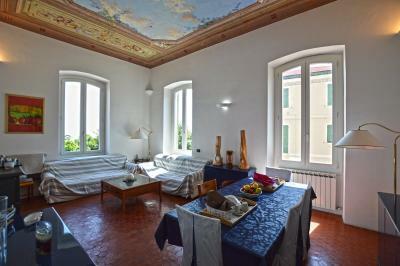 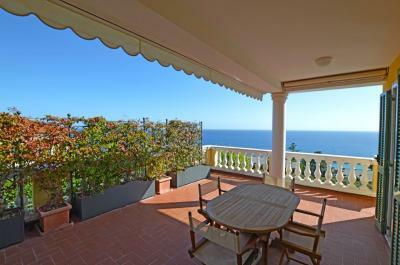 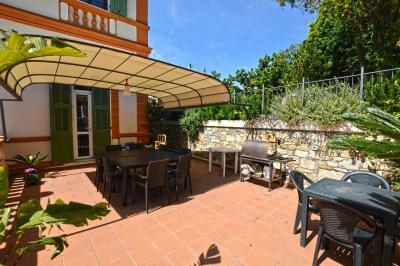 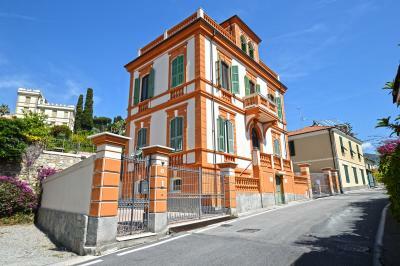 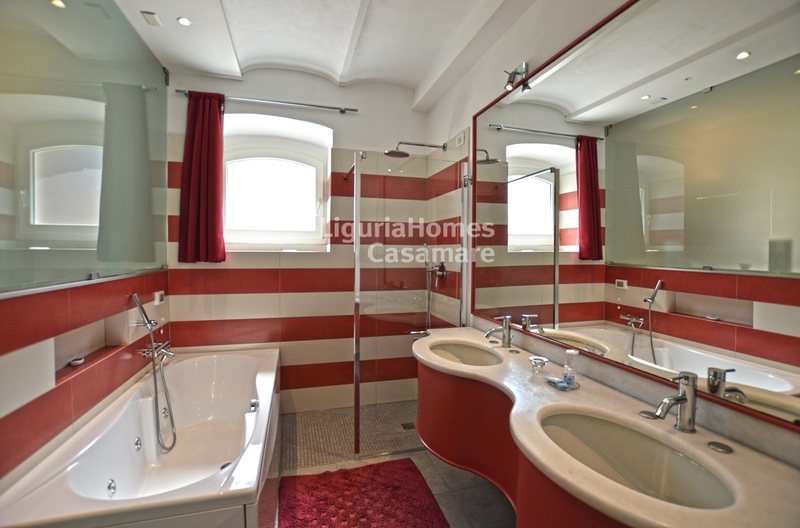 Outstanding villa-flat for Sale into a prestigious villa from the 19th century. 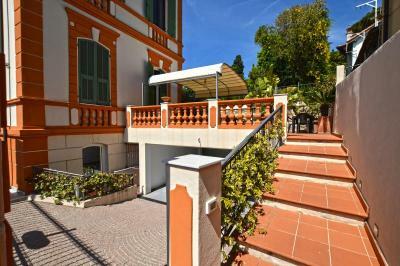 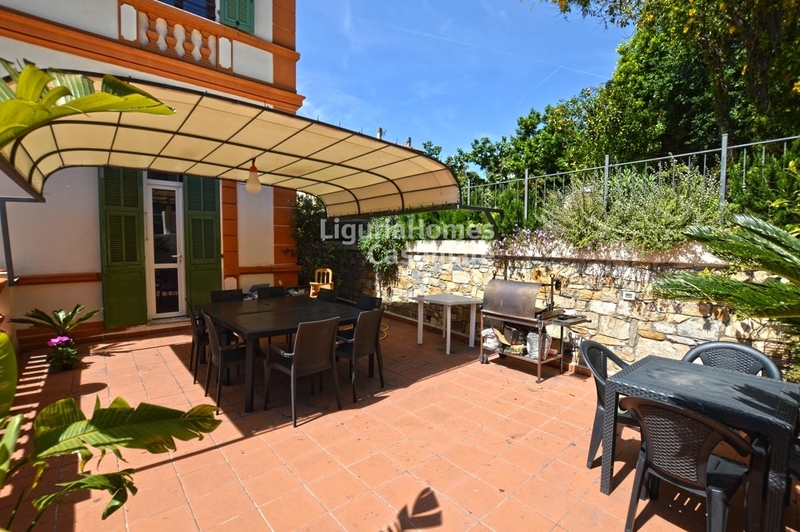 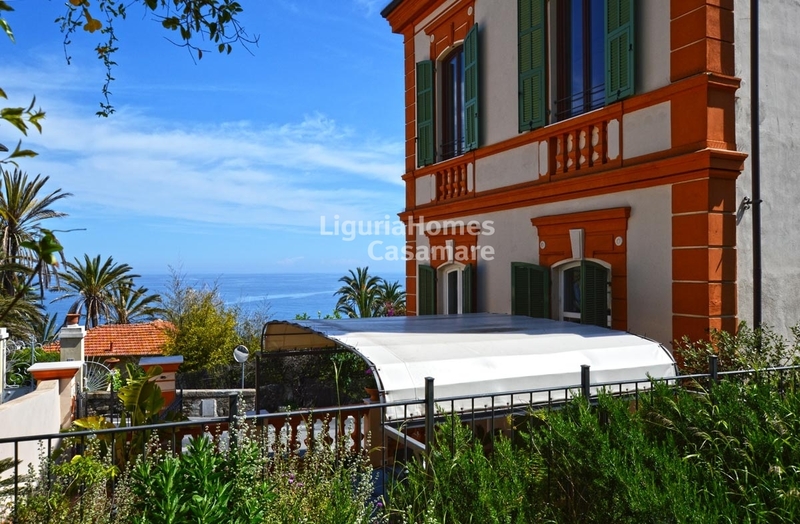 Located near the lovely ancient part of the town of Bordighera, this Villa-flat for Sale is set over 2 floors with indipendent access, terrace, garden and sea view. The villa-flat for Sale in Bordighera was recently renovated in modern style taking care of the original frescos made by the famous artist Giuseppe Ferdinando Piana. 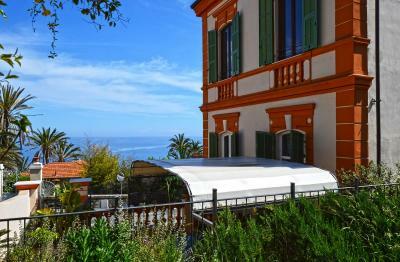 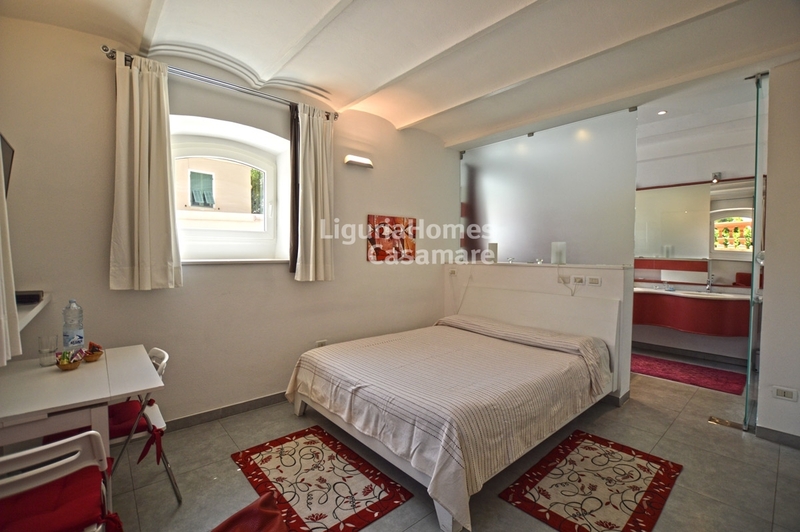 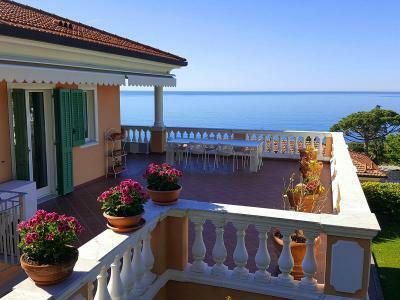 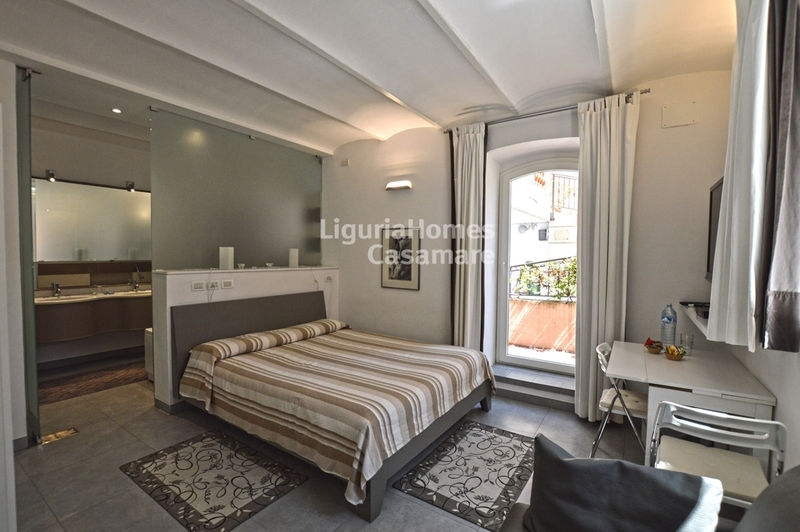 Actually a luxury B&B, this villa-flat for Sale in Bordighera, fully furnished, offers modern accommodation: on the first floor there is a the living room, a kitchen, a large terrace, a double bedroom and a bathroom. 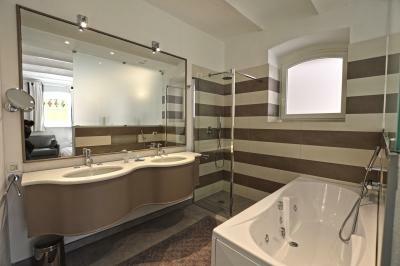 On the ground floor there is the entrance, two master bedrooms with en-suite bathrooms. A garage for 2 cars is also included. 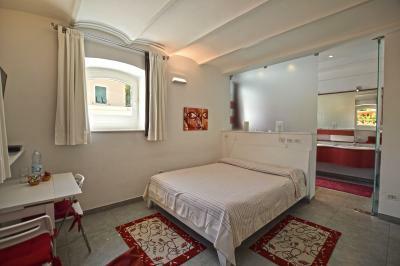 Outside there is a wonderful sunny garden of about 250 m2, with room for a swimming pool, and a relax area to enjoy our unique micro-climate.